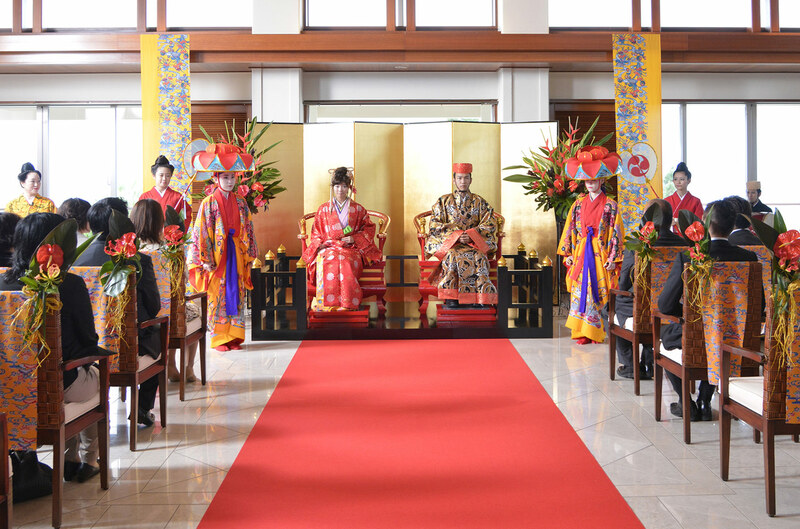 Ryukyu dynasty wedding "throne"is appeared. 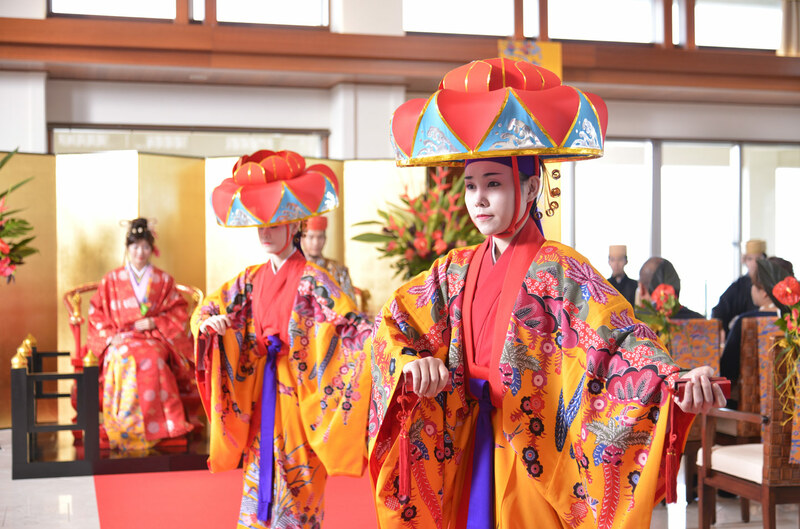 2014, home of the supplementary budget and special support project under the 4 companies in the Prefecture Okinawa new Weddings Wedding goods "throne marriage" held the bankoku shinryokan in Nago city mock ceremony unveiling of the development. 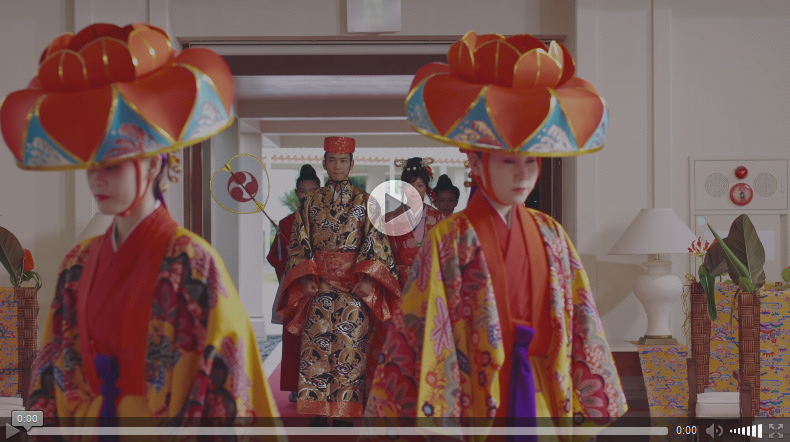 This is a premium Ryukyu dynasty wedding ceremony, in which the couple dress in the royal outfits of the Ryukyu Kingdom at the Gusuku Sites and Related Properties of the Ryukyu Kingdom, a scenic cultural site, and vow to the thrones of Ryukyu, wishing happiness and prosperity. 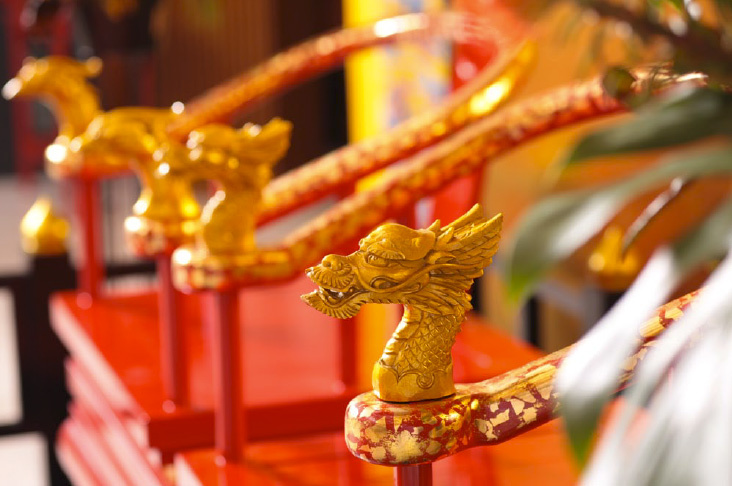 The podium of the thrones is made of Ryukyu pine, specifically for the ceremony for theatrics. 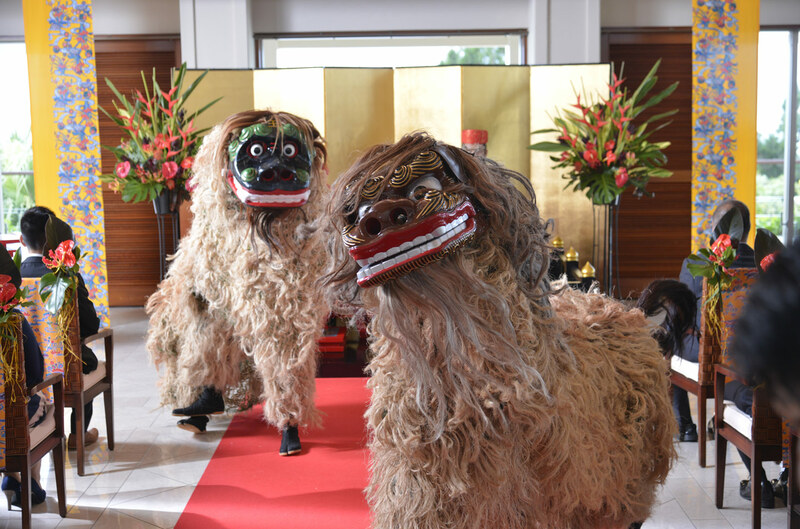 This is the new form of an Okinawan resort wedding. 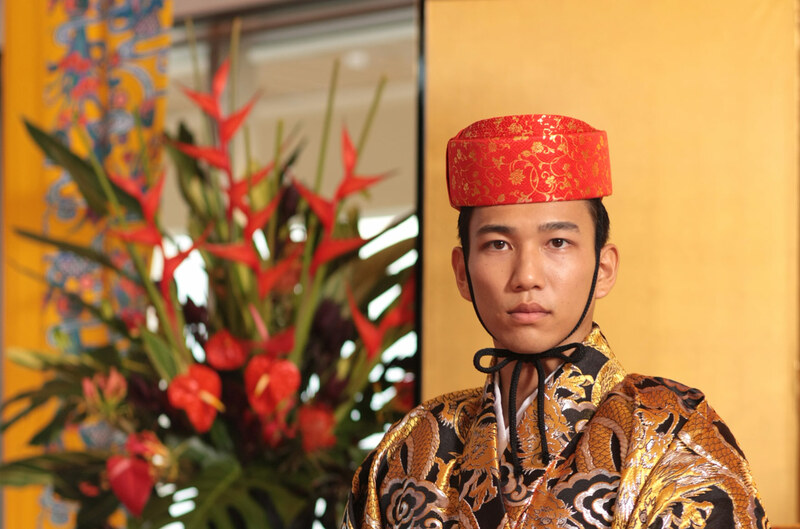 With the chapel facilities occupy the majority of weddings every year market expansion to Okinawa. 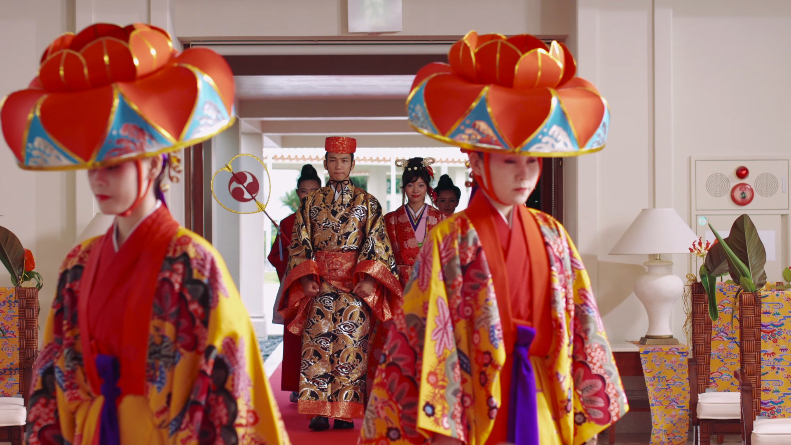 Using Okinawa ranging of the Ryukyu Kingdom with three cities village (Yomitan Village, Onna Village, Nago-Shi), is a village 3, beautiful beaches, World Heritage sites, including gusuku sites and related heritage and cultural scenic spots, local products and traditional performing arts acknowledged industry resources.